A family owned and run solid fuel business now in its fourth generation. Patrick Murphy & Sons Fuels have grown to become one of Irelands leading manufacturers of premium quality, low-smoke and smokeless solid fuel products. From our state-of-the-art plant in Ovens, Co. Cork we manufacture and distribute our range of solid fuels to wholesalers and retailers nationwide. We also cater our solid fuels for home heating and domestic use to the public from our Cork City drive-in fuel depot in Barrack Street, where in addition to our low-smoke/smokeless products we also stock LPG gas, briquettes, firewood and stove fuels. Providing the best quality certified coal and solid fuel products, advice and service has been the cornerstone of our success as low-smoke and smokeless solid fuel suppliers, for over 100 years. And because we’re a solid fuel manufacturer rather than a reseller, you can be guaranteed of ultra-competitive prices and value for money every time. At Patrick Murphy & Sons, we are always seeking to make our products as widely available as possible. 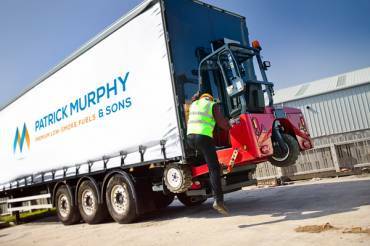 WHY PATRICK MURPHY & SONS? Our Cork fuel depot is located in the heart of Cork City at 124 Barrack Street where for over a century the good people of Cork have been our loyal customers. Located adjacent to Elizabeth Fort, the area is rich in history and culture. It is a drive-in facility where our very friendly staff are on hand to load your vehicle for you.